I know it's a little late for this, but I DID finish the book on Christmas, which was my goal all along. Where I got it: The library! 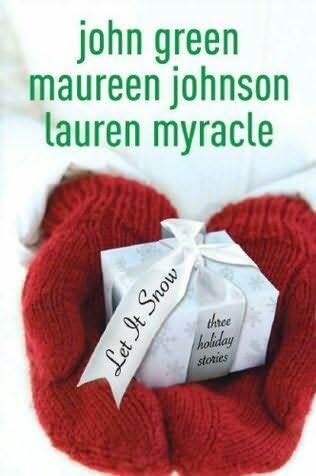 Let It Snow is made up of three novellas written by three different authors, all big names in the YA book world. And let me tell you, it's for a reason. Each holiday romance takes place mostly in Gracetown on Christmas Eve during one of the biggest snowstorms of the decade. Though all are focused on different characters, in the end they all come together, and along the way characters and events are intertwined in a way that always made me excited to recognize a name or realize how everything was fitting together. The next story, John Green's "The Cheertastic Christmas Miracle," definitely reminded me that I totally need to read more John Green, and own more of his stuff. He creates the best, quirkiest, most likable characters I've encountered in a while. Here, he picks up the story of a secondary character in Johnson's story and continues to write a cute little romance between old friends (which is one of my favorite kinds) written in a completely believable teen male voice. The situations he creates for his characters are so wacky and unexpected that he completely won me over. I give his story 5 stars, for sure, and this was by far my favorite of the three. The last story of the three is Lauren Myracle's "The Patron Saint of Pigs," which brings all three stories together. The mysterious Jeb, briefly mentioned in the other two stories, finally gets his own fleshed out. Told from the perspective of his slightly self-absorbed sort-of-ex-girlfriend Addie, we see how one person's obliviousness and selfishness can completely backfire for everyone involved, and how it can be fixed with some effort, and the arrival of a teeny tiny piggy. (You will want a teacup piggy after reading this, just fair warning.) All of the characters in Myracle's contribution have multiple sides and are people I can see existing in real life; they're all flawed and try to fix things that go wrong because of their personalities. 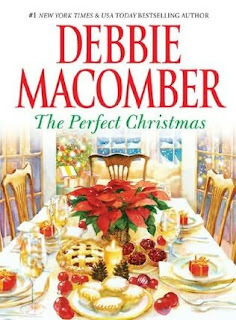 Plus, this story tied them all together in the end, much like the Christmas pageant in Love Actually brought all those characters and their stories together in that lovely Christmas movie (which you should watch if you haven't yet). All in all, John Green carried this one for me. I did enjoy the other two stories, but they completely pale in comparison to Green's story and writing. It was a nice Christmasy read, and I'm glad I found the time to finish it before December 25 ended. When my dad read The Girl with the Dragon Tattoo in August, every time I walked by him he looked up (or didn’t, because he was so insanely engrossed in the novel) and said, “Natanya, you HAVE TO READ THIS.” Although I knew that I would not be as blown away by it as he was (my dad spends most of his time reading emails, not novels, and he’s a computer geek), I knew I had to see whether the novel lived up to the hype. And now that I’ve read it, I can say that the majority of it did. The real meat of the story—the main mystery—is quite the thrill ride, and I found it pretty impossible to guess who the “culprit” was until the end. 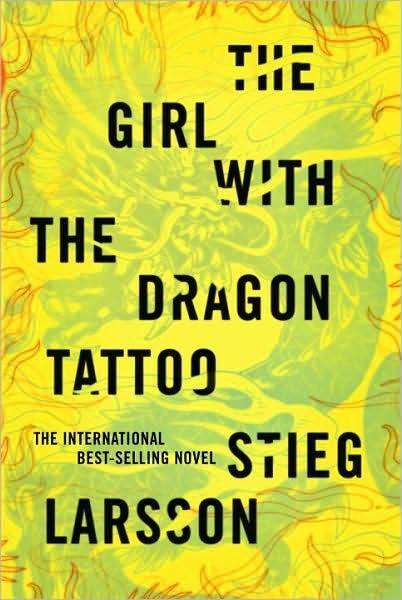 I loved Salander and her various methods of getting information or making things work to her advantage. Blomkvist was a little blah at times, but that didn’t really hinder the novel very much—he provided a pretty good contrast to Salander’s unpredictability. However, the mystery is framed by this financial libel disaster that Blomkist got himself into, and, consequently, I found the beginning and end of the novel to be very boring. While I was largely able to ignore Larsson’s often excessive amount of detail for the bulk of the book (some of which became relevant later, others which were really not necessary), I had to force myself through the first 75 pages or so of detail and financial crap that was relevant to Blomkvist’s life, but entirely irrelevant to the rest of the book. I suppose it is better that Larsson fleshed out the context rather than just throwing it in as a wimpy reasoning for why Blomkvist could spend a year on this mystery, but, honestly, I have little interest in the financial world. But, while this boring frame (and maybe it was just boring to me) made the novel a bit less enjoyable, the bulk of it is much more applicable to a college age girl (at times terrifyingly so), and is also far more graphic, shocking, gruesome, and totally gripping. As a warning, though, it does get pretty gross at times—I wanted to throw up after one of the descriptions, and I had a hard time falling asleep a couple nights. So you may not want to read The Girl with the Dragon Tattoo right before going to sleep, but if you like mysteries or thrillers, or are just looking for a hold-onto-your-pants ride of a novel, do read it. Yes, another end of year 'best of' list. Are you sick of them yet? But this one is a look back into your favorite reads of the year! Amy and Roger’s Epic Detour by Morgan Matson - Don’t know how much more praise I can give this book...have I mentioned that I LOVED it? Like I loved it infinity times 72582745 plus 16. 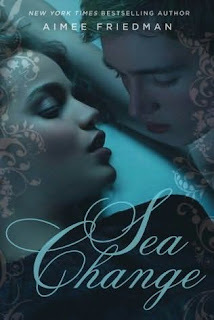 Twenty Boy Summer by Sarah Ockler – I loved the relationship between Anna and Frankie, the wonderful imagery of the beach and the symbolism of the sea glass. The Truth About Forever by Sarah Dessen – I loved the Wish Catering crew and how everything with them is chaotic, nothing is ever planned out in advance. To Kill A Mockingbird by Harper Lee – A classic. I first read this book in 8th grade, I liked it then but that’s pretty much all I remembered except for a big courtroom scene. So glad I reread this over the summer. Jumpstart the World by Catherine Ryan Hyde – Definitely a must read. A great book about accepting others despite their differences. The Immortal Life of Henrietta Lacks by Rebecca Skloot – One of the only nonfiction books I read this year and I learned so much it. Henrietta Lacks contributed so much to the science community, yet no one knows who she is or they just know of her cells, called HeLa. Thirteen Reasons Why by Jay Asher – A haunting read but it was such a good book. It really makes you stop and think about how you treat other people. You don’t know how a comment or remark (mean or nice) actually affects somebody. Mockingjay by Suzanne Collins – I know many people were a little disappointed with Mockingjay. Not gonna lie, I was a little disappointed as well BUT I still enjoyed it (I thought it was quite the emotional rollercoaster) and I still love the trilogy. Fourth Comings by Megan McCafferty – I was let down by Charmed Thirds so I was glad that I ended up loving the fourth book in the Jessica Darling series. I’m excited to read Perfect Fifths but sad at the same time, I don’t want to let go of Jessica (or Marcus)! It’s definitely bittersweet. Dash and Lily's Book of Dares by Rachel Cohn & David Levithan - This was such a cute book and a great book to read around the holidays. I loved being a part of Dash and Lily's adventure though New York City at Christmas time. 2010 started off on a bad note, regarding books anyway. I didn’t read my first five-star book until the middle of March! 2010 was also a big year for young adult books (for me). Now it’s your turn! Tell us your favorite books you’ve read this year! *Next week's topic is: Top Ten Books I Resolve to Read in 2011..you know all those ones you keep saying you are going to get to but haven't yet. No more procrastination in 2011! This is just a short announcement to say that Jana was our lucky winner for the first Playwrights in an Hour giveaway. Jana, if you'll email me your address, I'll send your information to the publisher who will send you a copy of the Aristophanes book. We'll be having four more giveaways in the near future. Check back soon for another chance! One word: WOW. I devour anything and everything historical fiction related, but had somehow not managed to delve into anything Asian related (maybe excepting The Joy Luck Club ). Not wanting to break my personal rule of ALWAYS reading the book before watching the movie, I gave this one a try. 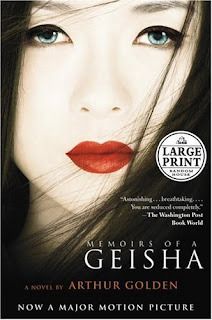 Memoirs of a Geisha brings to life the exotic lives of geisha living in 1930s/40s Japan. Our geisha in particular was born as Chiyo, a poor girl in a small fishing village. She, along with her sister, is taken to the city of Kyoto at the age of nine, where she trains to become a glamorous geisha. Her new life of hard work, backstabbing and betrayal is a shock to her at first, yet she grows up to become very clever and successful. What amazed me most about this book is the fact that Arthur Golden was able to write an American novel about Japanese culture from a female perspective so well and believable. I was doubtful at first whether or not he could voice a female effectively, but boy, did he ever. His imagery is unbelievably vivid. However to me, the most fascinating part of this book was the culture. I learned so much about the customs, clothes, fashions, and practices of geisha (and also the fact that geishas is not a word, neither is kimonos. Who knew?). The time period it is set in was also interesting; early 1940s Japan was not a pleasant place to be. Another strong point is the wide range of characters. I found myself seething at Hatsumomo, sympathizing with Pumpkin, and rolling my eyes at Mother. Towards the end, things got pretty so-so for me. I was much more interested in Chiyo's (later named Sayuri) struggles to become a geisha, not necessarily what happened after she became so successful. I will say that I'm glad a typical Hollywood perfect ending wasn't included. If everything had wrapped up just perfect, it wouldn't have had the same feel to it. 4.5 stars. Now off to watch the movie ! Why I read this book: Saw a trailer for the movie coming out, thought I would read the book. I stumbled into a trailer for a new movie coming out in March called "Beastly." Upon doing a bit more research I discovered that it was a book first, as it usually is, and decided to read it. Two things sold me on this book from the relative get go: one, it's a retelling of one of my favorite Disney movies* "The Beauty and the Beast", and two, it's told from the Beast's perspective. The book does a great job of modernizing the Beast's tale. One of my favorite highlights is the chat room group for mythically affected teens. But besides the obvious of updating the scenery to the 21st century perspective, the actual Beast transformation is really believable. The magic of the tale balances well with the modernity. There is a great story arc that isn't too sudden or unbelievable. He starts off quite unlikable actually, but the promise of his transformation is enough to spur you past his childish special snowflake syndrome. One side comment that really has nothing to do with my review but I've read quite a few YA novels this year that have novels told from 1st person point of view. Why is that, I wonder? As a general rule, I dislike first person narrative because it limits what I can know about other characters. I learn a good deal about the main character but the secondary characters suffer. I concede that sometimes first person works well, I thought it was great in The Hunger Games, but it's just not my favorite. I'm curious to what opinions you guys have on POV. First person: love it, hate it, can't live without it? Anyway, back to Beastly. While it does a good job with the modernization while keeping all the essential elements, it was missing something that would push me into 5 star territory. It just didn't have that extra kick. Is it a great read? Yes. 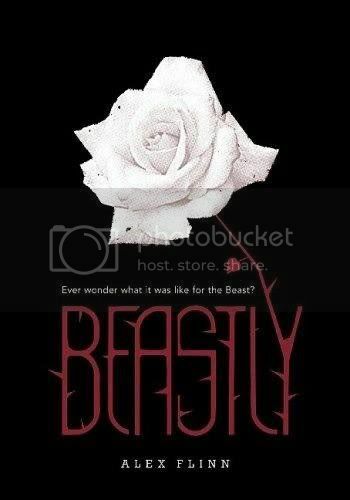 Would I recommend it to anyone who likes the tragic romance of Beatuy and the Beast? Hell yes. Is it a book I would read again? Probably not. But it was definitely worth the read. And I'll probably go see the movie when it comes out in March. If only for Neil Patrick Harris. Each week we will post a new Top Ten list complete with one of our bloggers’ answers. Everyone is welcome to join. All we ask is that you link back to The Broke and the Bookish on your own Top Ten Tuesday post AND post a comment on our post with a link to your Top Ten Tuesday post to share with us and all those who are participating. If you don't have a blog, just post your answers as a comment. If you can't come up with ten, don't worry about it---post as many as you can! NEXT WEEK THE TOPIC IS: Top Ten Books I've Read in 2010--a look back into your favorite reads of 2010! 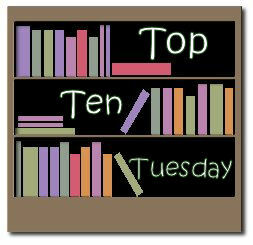 This is the first time we've ever done a collaborative Top Ten Tuesday post. Typically it will just be one reviewer doing the TTT for the week so the list is reflective of that one person's tastes rather than the diverse taste of the blog. So, since we are crossing our fingers and toes that we made it on the nice list this year, we figured we'd do a collaborative post to show what members of The Broke and the Bookish are hoping to get from our dear Santa Claus.